I knit a lot today. I worked on finishing this second sock, and I added several more rows to this sweater. The problem with knitting, though, is that it takes a lot longer to finish a knitted project than it does a crocheted project. It took me about two weeks to crochet, join, and finish this afghan, but I’ve lost count of the number of hours I’ve already put into knitting the aforementioned socks and sweater. Anyway, rather than show you photos of my two current WIPs with one of them looking like no progress was made, I am sharing a photo of my first quilt instead. 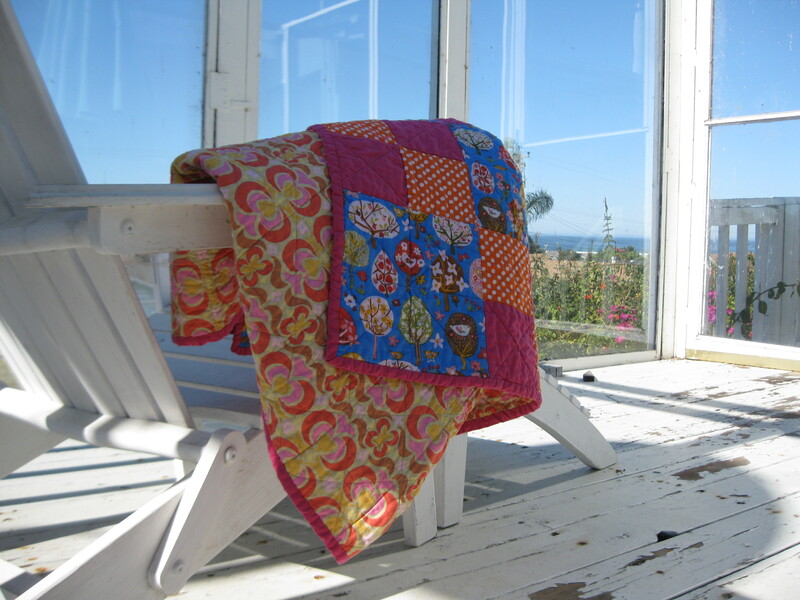 This is the patchwork quilt that I made in my Beginners Quilting class back in September and wrote about in this post. And that is our deck that needs painting and where you can see this view. Today was a really beautiful day with a clear blue sky and a flat, glassy ocean. If you’re ever in town, let me know and we can visit on the deck and enjoy the view. We’ll talk, knit, or crochet. I’ll pour you a glass of iced tea. 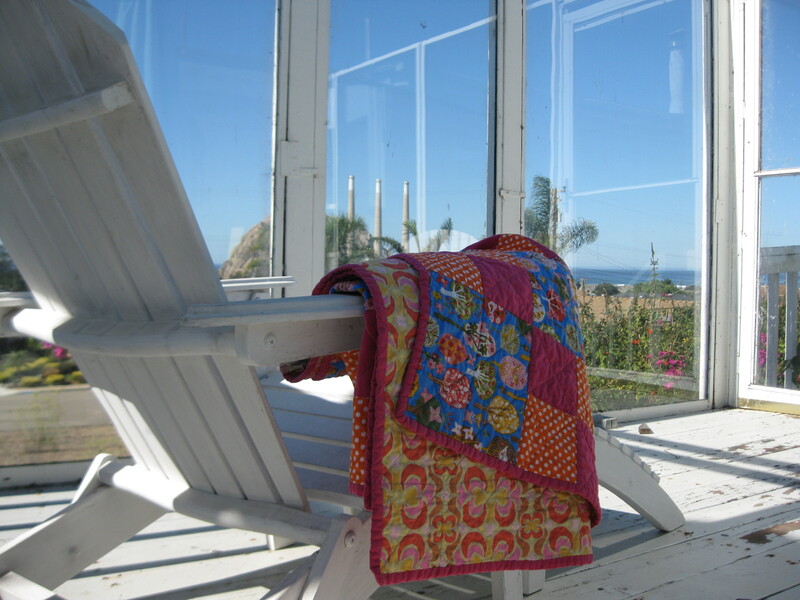 Categories: Handmade | Tags: afghan, crochet, knitting, Morro Bay, patchwork quilt, quilting | Permalink.